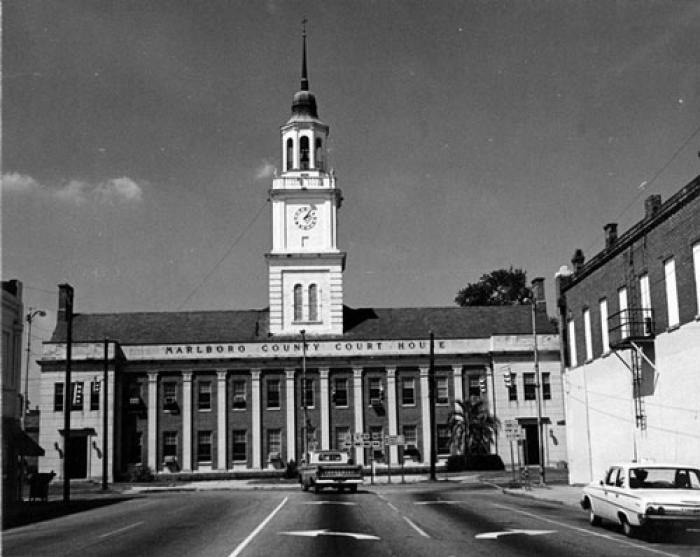 Established as the county seat in 1819, Bennettsville continues to serve as a political and economic center for Marlboro County. The historic district includes the central part of town, where the majority of the residential, commercial, religious, and public buildings date from the late nineteenth and early twentieth centuries. The courthouse continues to be the focal point of the town, although it is the third on the site (built 1885) and was extensively altered in 1951. Bennettsville has numerous excellent examples of residential architecture dating from the early nineteenth to mid-twentieth century. Styles and types include the upcountry farmhouse, Greek Revival, Queen Anne, Beaux Arts, and bungalows. Listed in the National Register April 20, 1978; Boundary increase June 3, 1993.